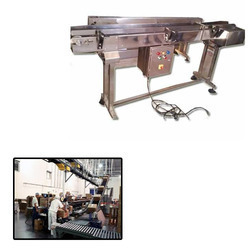 Manufacturer of a wide range of products which include coding conveyors for beverage production line. Backed by a team of professionals, we offer Coding Conveyors for Beverage Production Line to our clients. Moreover, client can get the offered range from us at very moderate costs. Looking for Coding Conveyors for Beverage Production Line ?